Mountain contemporary home on almost 2.5 Acres. Fabulous main floor master, open floor plan, lots of windows, outside deck and patios, bring sunlight and views into the home. 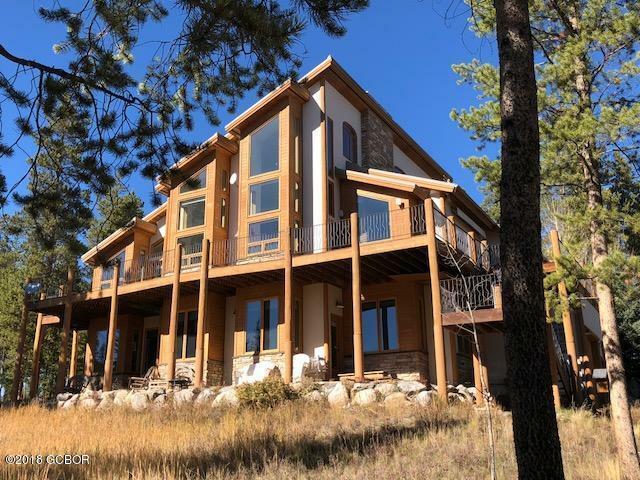 High ceilings, floor to ceiling rock fireplace, log accents, office, loft, and second downstairs living area.Ideal for entertaining family and friends, who will love visiting! Enjoy all that Winter Park and Grand County has to offer, just minutes from this home. World class downhill skiing, mtn biking, xcountry skiing. Miles of trails for hiking and biking. Events and activities for everyone! See documents section for special features.